Hyderabad, 11th July, 2018 - Yet again, the girls create a tornado in the entrepreneur industry. 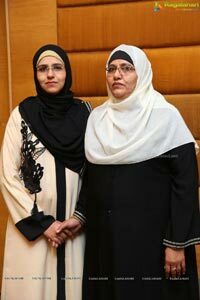 Masarath Khatoon and Mahanoor Khatoon- Two sisters from Hyderabad are here unveiling "Vurqa Wash" a revolutionary creation which brings the wave of freshness and everlasting shine. As the duo introduces a first of its kind liquid detergent wash exclusively for Stoles, Burqas, Veils & Expensive Clothes. Burqa's-Abhayas-Designer Wear looses their original color & shine as the time passes, thus making it difficult for women wearing stoles regularly & practicing hijab to use them frequently. This results in low self-confidence and a lowered esteem among the women who use burqas habitually. The Sisters Researched extensively and found out harsh chemicals from detergents were the reason why their stoles and burqas fade away so early. Shampoo too doesn't help clean the burqas effectively as dirt and stains still remain after washing them. The research was started off with feasibility study of the product and assessed the market potential for the same. They conducted preliminary research and found that millennials today are concerned with colour fading which has an impact on their confidence. Taking this as base, they finalized to jump in entrepreneurship for solving this concern. While working on the same, they realized that they need to have a passionate as well as a technical team. So they made team of experts from R&D, product development, marketing to legal, launching specialized wash for Burqas as FIEFIA Vurqa Wash. Unique & Advanced Shine Lock Formula of Vurqa Wash was made by fulfilling relevant quality standards, specifically solving issues of color fading, dirt/stains accumulation, white patches, and discomfort after the wash. 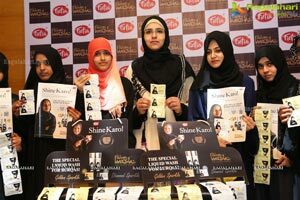 They also wanted to make people feel proud of wearing a burqa and thereby the emerging campaign- Shaan and Shine Barqaraar!-Both Pride and Shine shall remain. 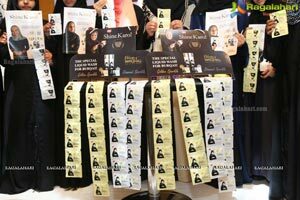 the world to make a special wash that not only cleans and maintains shine burqa but also leave behind mild aroma post wash. Their registered Advanced Shine Lock Formula enables to maintain shine of the burqa, which empowers young women to feel pleasant and proud while other alternatives fail to do so. This is the first exclusive product in India, taking care of Burqas. Fiefia Vurqa Wash is product of aspiration, passion and desire to shine in every walk of life, enabling to fulfill dreams, eliminating dirt and focus towards progress. They wish to spread this baton of woman empowerment through the initiatives taken by FIEFIA. 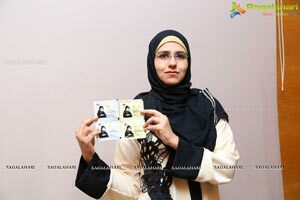 Having clear vision for FIEFIA Industries Masarath Khatoon says "Your shine never fades, Your burqa should not either, is fulfilled by Vurqa wash helping users to wash away dirt and maintain shine and colour with mild fragrance in consonance with their tag line "Shaan aur Shine Barqaraar. 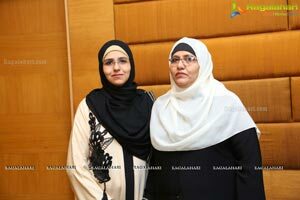 Speaking on the occasion of launch Ms. Khatoon added "Vurqa Wash is the first of its kind liquid detergent specially formulated to clean & wash burqas, veils, stoles & expensive wears ", She added " Women has been wearing Burqa's, Stoles for long. There was always a problem in cleaning & maintaining the shine of Burqa or Stole. In this process we sisters, stumble upon an idea to introduce a liquid based detergent, to exclusively clean Burqa's after a thorough research we came up with Vurqa Wash, which not only cleans the Burqa or Stole but also Enhances the Shine of them. Vurqa Wash also has an additional feature of Pleasant Aroma, which provides an additional fragrance to the washed burqa. Assisted by her family & friends Ms. Khatoon explored the path of bringing the detergent into the reality. 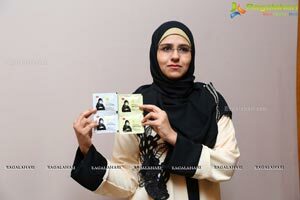 An Initial Seed Funding helped her in R&D, Packaging, Marketing, Etc. 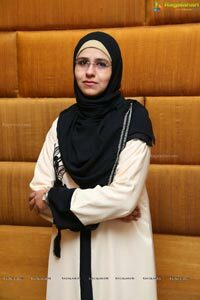 Ms. Khatoon plans to take Vurqa Wash Pan India in Next 6-Months through a basic distribution channel & online marketing, she said "we plan to enter metro cities in next 6 months and will expand to tier-2 & tier-3 cities in next 10-12 Months. 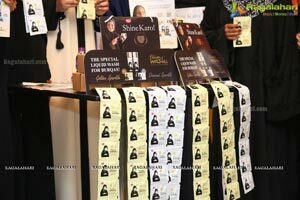 She added "this is the niche product and test marketing & online marketing has shown a great trend and people are willing to try this product, she added initially a sachet of 12ML cost Rs.5 and 200ML- 1000ML bottles will also be introduced in the Market Soon.